Flip a coin. If heads, the Defending Pokémon is now dancing swag. 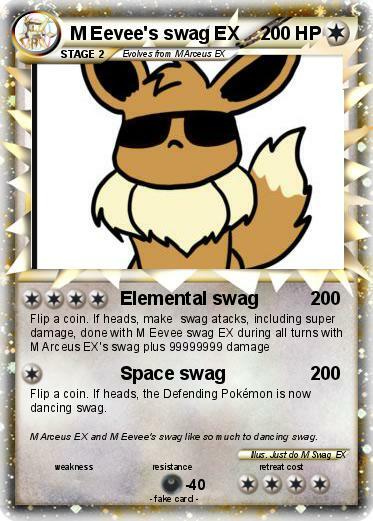 Comments : M Arceus EX and M Eevee's swag like so much to dancing swag.